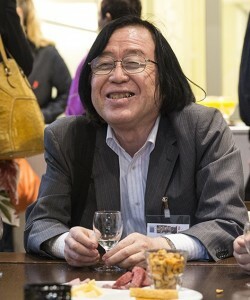 The EUROCALL 2014 organisers and participants were greatly saddened by the loss of EUROCALL participant, Dr. Kenji Kitao, who passed away suddenly of a heart attack at his hotel on the evening of Wednesday, August 20th. Dr. Kenji Kitao had an appointment as a full professor, at Doshisha University, Kyoto, Japan. He was 65 and about to retire this coming March. Dr. Kitao was a dedicated EUROCALL member. Our thoughts and prayers are with Dr. Kitao’s wife, Kathleen Kitao, family and friends. We would like to wish them strength during this difficult time.